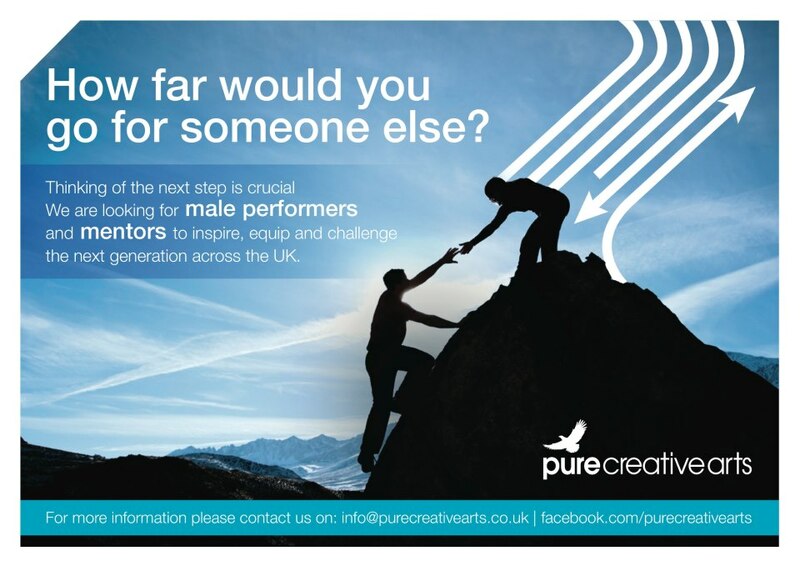 Over the past couple of years, Pure has seen a big increase in our opportunities to work with young guys. This is a fantastic development, as we see a real need amongst boys to be engaging with the issues that we cover, issues that are often seen as stereotypically impacting girls, but that many young guys are struggling with too. The main ways we work with young guys are through school visits with day bookings and intro workshops covering one of a number of issues, or through ongoing projects like the boys programme which covers male identity. This can involve performing, workshop leading or mentoring, depending on which areas you are passionate about being involved with. Guys who are willing to step up and get involved with our projects can make a huge difference to the work of Pure in the lives of the boys we work with, and it is both a vital and highly rewarding work.